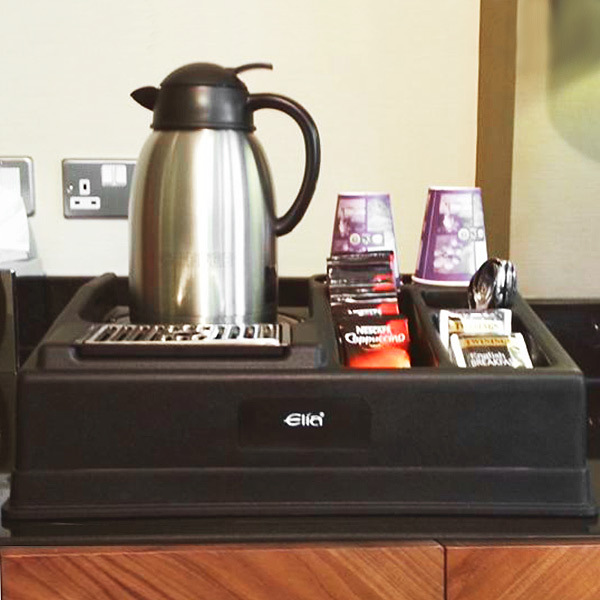 Perfect for tea and coffee self-service, the Elia Beverage Service Station offers a practical and smart design. Ideal for use in hotels, offices and function rooms, this station houses any model Elia airpot or jug and is made from durable heat resistant lightweight plastic. 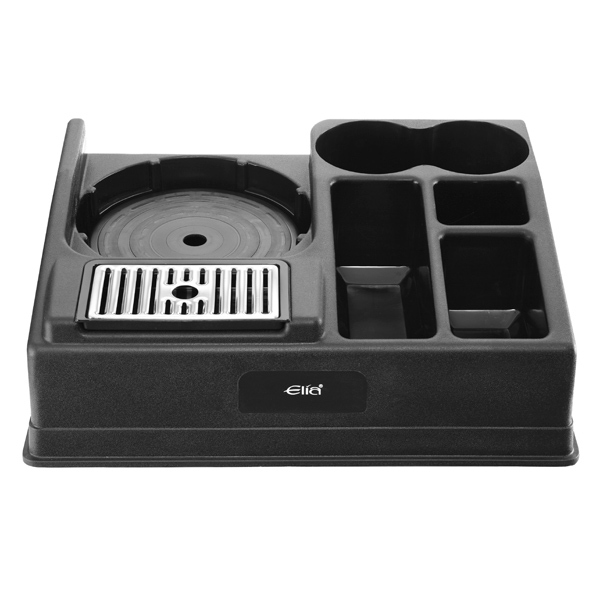 There's 5 compartment slots for holding accessories such as sugar and teaspoons. Please Note: Elia Beverage Jug not included.